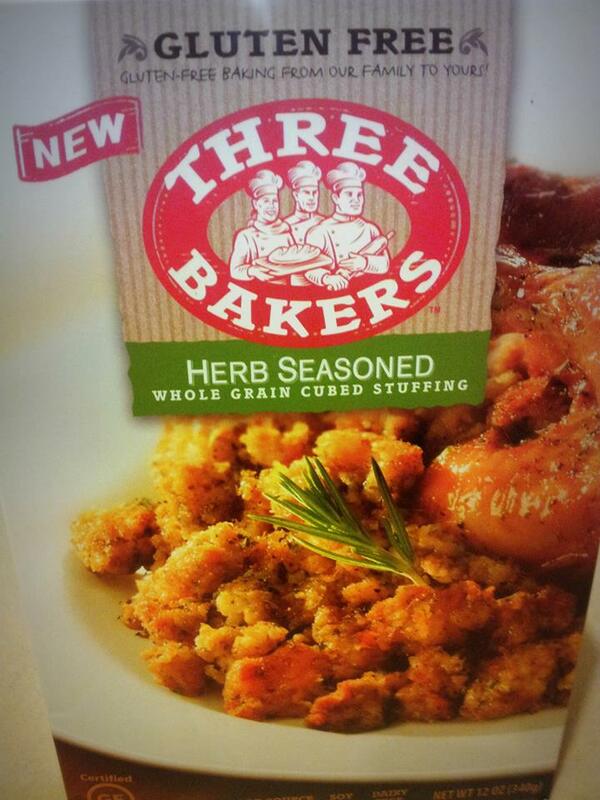 TWO boxes of Three Bakers Gluten-Free Herb-Seasoned Stuffing Mix! Open to US Residents, 18+ older. Enter Below & Good Luck! The Giveaway ends on 10/2/13 at 11:59 pm EST. I love HAM! It’s one of my favorite holiday foods to have! I love to eat deviled eggs! The pumpkin pie is my favorite. The pies…pecan, apple, pumpkin, and custard! My favorite holiday dish is my Mother’s stuffing recipe. The appetizers, we make different ones every year! Also the sweet potato casserole and used to be stuffing when I could still have gluten. My favorite is always the mashed potatoes with gravy, stuffing, and dinner rolls with cranberry sauce. I love turkey, turkey, turkey! We never have traditional holiday meals. Just something good that we don’t eat daily. I love beef tenderloin grilled with cheesy potatoes. I like the stuffing and cranberry sauce! My favorite holiday dish to eat is cheesy hashbrown casserole! My favorite holiday dish would have to be the Christmas Morning Crepes my father makes each year! My favorite Holiday dishes are always, the relish tray, the green bean casserole and of course the stuffing!